Koenigsegg has produced one of the most visually inspiring supercars to date.The Edition is an ultra exclusive edition of the Koenigsegg CCXR, one of the top 5 fastest production cars in the world. With a beautiful body done all in unpainted carbon fiber, the CCXR Edition makes no pretense of presenting itself as a luxury car. The CCXR Edition is a driver's car, pure and simple. While completely street legal in Europe, driving the Edition in congested streets would be very frustrating indeed. Koenigsegg has designed the CCXR Edition for the track first, though the 254 mph supercar would love to be opened up on wide expanses of road. Koenigsegg has not released an official top speed record for the CCXR Edition, though with a weight to horsepower ratio of only 1.26 kg/hp. Perhaps even more impressive is the Koenigsegg CCXR Edition's lateral g-force of 1.5 G. In the hands of the right driver, this is among the most capable sports cars in the world. 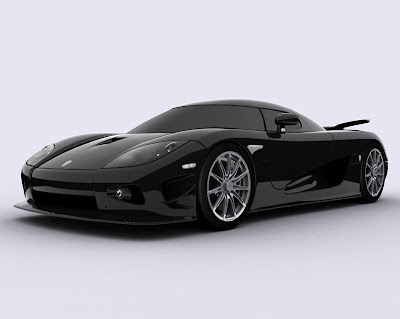 The Koenigsegg CCXR Edition is only available by special order in a very limited run of, count them, 6 production models. Icing on the cake is that the CCXR Edition has been retrofitted with the ability run on biofuel, premium gasoline or a mixture of both. Because of the combustion characteristics of E85 Ethanol fuel, the CCXR Edition actually is able to utilize its full 1018 horsepower only when running off this type of fuel. A corn-powered 250 mph+ supercar? Front Brakes : Ventilated Ceramic Discs 380 mm, 34 mm Wide. 8-piston Light Alloy Brembo Monoblock Calipers. Rear Brakes :Ventilated Ceramic Discs 362 mm, 32 mm Wide. 6-piston Light Alloy AP Racing Callipers. Power-Assisted.